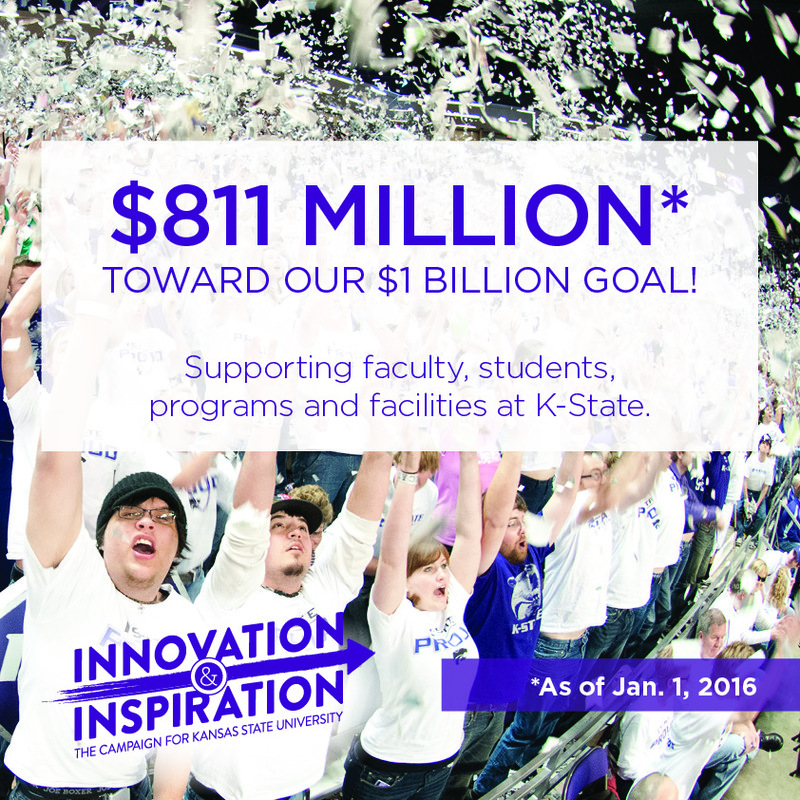 Innovation and Inspiration Campaign’s fundraising total has risen to over $811 million toward our $1 billion goal (as of January 1, 2016). Thank you to all K-State alumni and friends for their generosity and support for the campaign, which will drive Kansas State University forward toward our strategic vision to become a top 50 public research university by 2025. To keep abreast of campaign fundraising progress, please visit the Innovation and Inspiration website, where we update our total monthly.